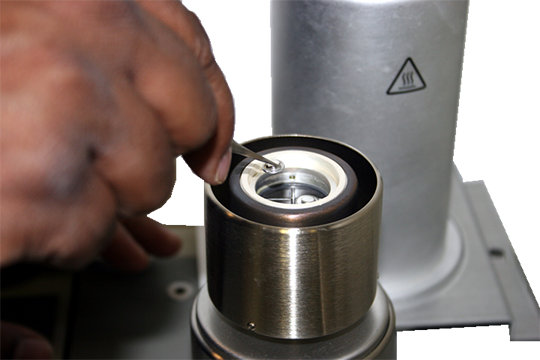 A full service, state of the art thermal hazards laboratory continuously adds various pieces of instrumentation. As an engineering consulting firm, we are challenged, every day, with unique testing and consulting requests that makes having a variety of equipment at our disposal advantageous. Listed below, you will find descriptions of our most commonly used testing techniques to characterize thermal hazards. Differential Scanning Calorimetry is a technique in which the difference of energy inputs (heat flow) required to keep a substance and a reference material at the same temperature is measured as a function of temperature while the sample and reference material are subjected to a controlled heating program. The DSC is a good screening tool for evaluating the thermal stability of homogeneous materials at temperatures ranging from -90°C to 500 °C. 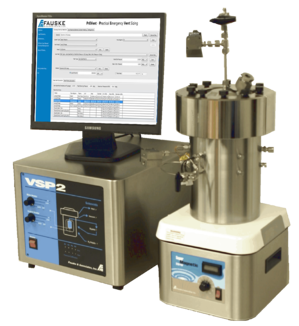 This piece of equipment evaluates milligram size samples and therefore is not always appropriate for heterogeneous mixtures as sampling can become an issue. In addition to screening tests, the DSC can be used to perform several ASTM test methods. Traditionally, we have focused our testing efforts toward helping our customers understand how their chemical system responds to a given upset scenario – preparing for the unexpected. We added equipment that can help our customers quantify the heat released during their intended chemical reactions – preparing for the expected. 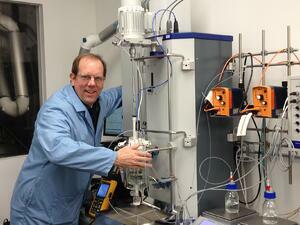 Information obtained from reaction calorimetry experiments is especially crucial when scaling up from lab to plant. In our labs, we utilize two main instruments to conduct these studies: the Mettler-Toledo RC1, a heat flow calorimeter, and the Chemisens CPA 202, a heat flux calorimeter. With these two instruments we can design experiments that mimic a wide variety of plant process conditions and procedures. Additionally, we have a THT µRC which allows us to perform small scale reaction calorimetry experiments and also investigate potential chemical compatibility issues of binary systems. We recognize that generic solutions to process safety are often not practical for our customers as they have unique systems with unique problems. Our extensive list of instruments combined with our experienced staff, enables us to provide our customers with solutions that address their specific process safety concerns. For more information, to request a quote or discuss your specific application please contact thermalhazardsgroup@fauske.com, or Ken Kurko at 630-887-5266 or kurko@fauske.com. And for more thought leadership content in the areas of process safety, industrial testing, and more, subscribe to our blog.